A friend from Northern California, who values both her Native American and European heritages, shared this story. In 2014 I traveled for a few months in the northwest of the United States, each day’s travel guided by inner urges. One day when I stopped at a lake to have my lunch, I sat on a rock wall facing the lake. As I became comfortable, I heard an inner voice telling me to move to a different spot further north on the rock wall. 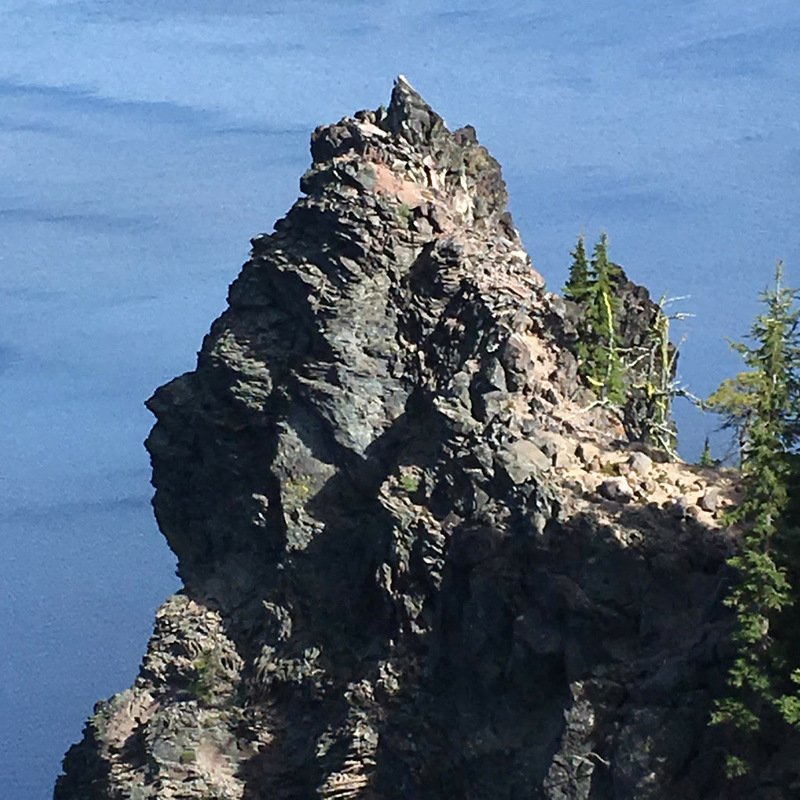 So I went further and was about to settle, when again the inner voice prompted, “Not here, further north.” I went even further along the wall and sat down, and when I looked out across the lake I immediately recognized on the ledge directly in front of me a profile of a Chieftain in full headdress regalia that had been carved by nature. Then I knew why I had been urged to move, and I felt welcomed and honored by the spirit of the area. There were no signs in the vicinity noting this extraordinary natural phenomenon. 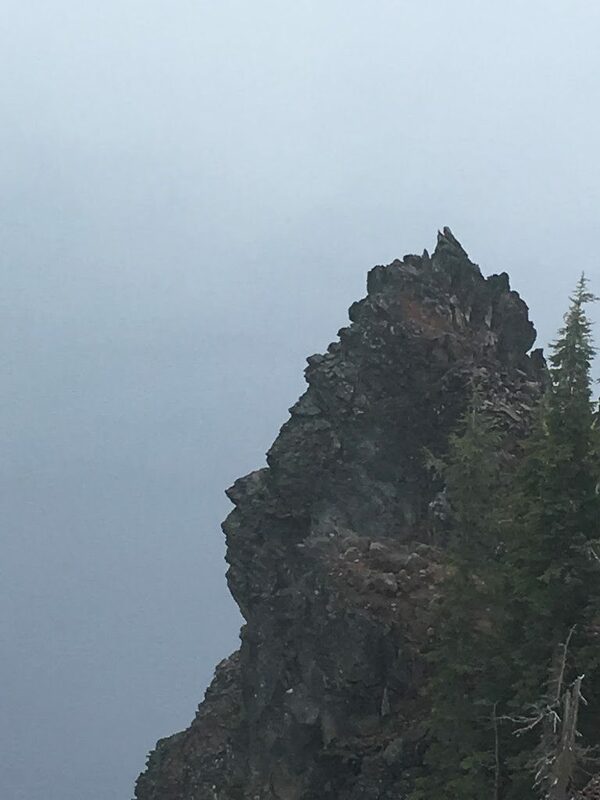 Later, in the gift shop, I located a 1907 photo of a Klamath Chief, standing in full regalia, facing the same direction as this profile carved by nature. The photo had been taken very close to this creation of nature. His headdress was similar to the shape and size of the regalia on the nature-carved rock. I have returned many times since to photograph and honor this amazing formation. I have spoken with a few people from the various tribes of the area and none were familiar with the nature carving. We have since visited together to quietly pray, sing and honor the spirit of this site. Mist clearing as chieftain carving emerges.